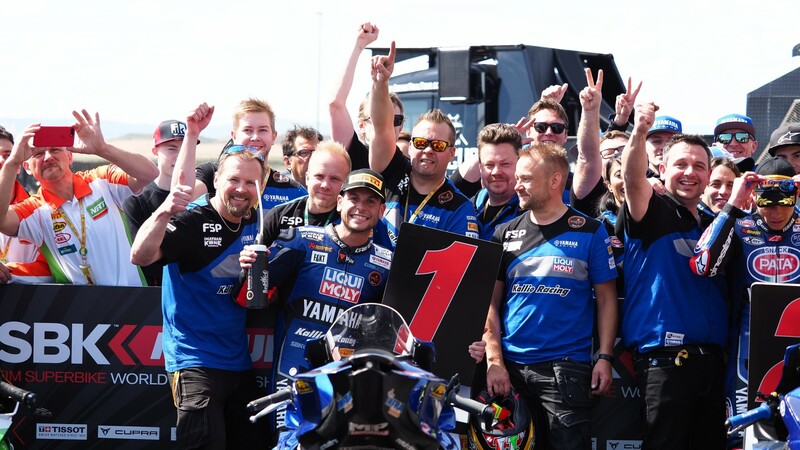 It had been a long time since Sandro Cortese (Kallio Racing) was able to climb back to the top of a podium, but the wait was well worth it, as the former Moto3™ champion made it third-time lucky with his maiden WorldSSP victory in just three races. The Germany rider moves into second place in the championship standings, and will be fancying himself for a fight to the top. The German seemed ecstatic at putting to rest a six-year win drought: “I’m very happy and just enjoying the moment. It was a perfect weekend for the team and for me, we had the first pole position, first victory, I don’t think you can do it better”, he explains. “I just enjoyed the complete weekend. It was sunny, it was a perfect race, I had a lot of fun with the fight with Cluzel and Caricasulo, and am taking a good feeling to Assen”. 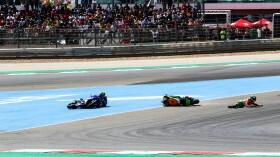 The start off the grid wasn’t ideal for Cortese, as he found himself falling to fourth at the first turn. But Kallio Racing’s number 11 was expecting it after a turbulent morning: “This morning we had a clutch problem, the clutch broke and we had to put a new one in. Even going into the Warm-Up lap, I didn’t know. With a new clutch, sometimes you have to make some starts to know what’s happening. “I thought “ok, just make a normal start, even if the first, second and third overtake you, you have to be there in the group””, he continues. 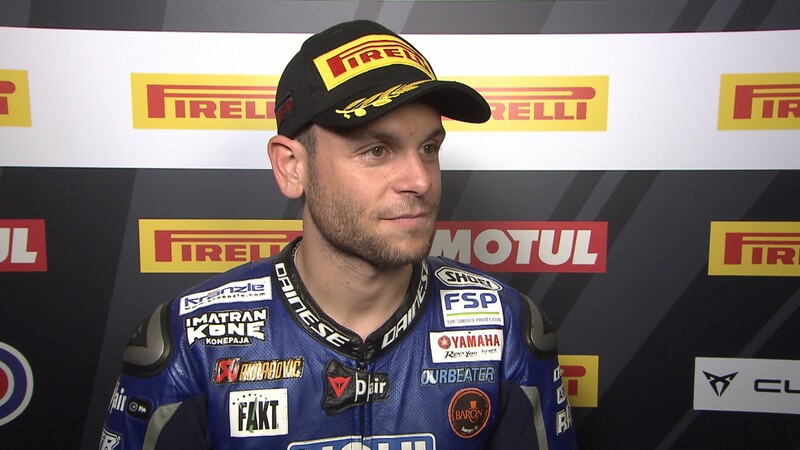 “This happened, I came out third from the first lap and said “ok, let’s just keep the rhythm there, be calm and let the front guys be there some laps, and if you can stay there just be calm”. Eight laps before the end I said: “now is the time to attack and overtake”. And my plan finally was good”. 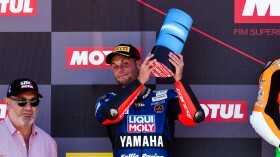 With Assen this weekend, Cortese is looking forward to the challenge of several unknown circuits after the Dutch Round: “Actually, there’s just one circuit coming now that I do know: Donington, I raced there ten years ago. Magny-Cours, Portimao, Imola… All these tracks I’ve never been to. I’ll have to take my bicycle and have as many laps as I can on Thursday”. Another step on a long championship journey: “I’m confident, we have nearly two hours on Friday to get to know the race track for when the race comes on Sunday. I saw it in Thailand, I struggled a bit for the first group, but the championship is so long, we have to take points, that’s the most important thing. And of course, after the win today we want to fight for it next week”. 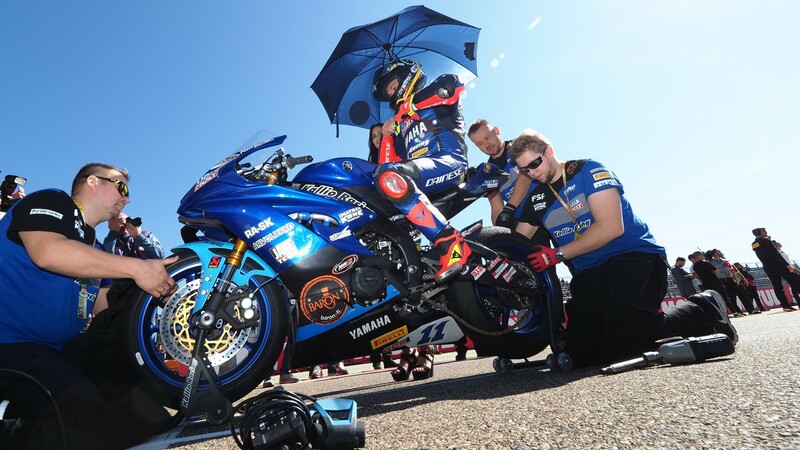 The FIM Supersport World Championship rolls into Assen in just three days-time, with the first Free Practice sessions kicking off on Friday, 20th of April. Follow the run-up to the event, with reactions, highlights and more, thanks to the WorldSBK VideoPass.